To make the best decisions, you need the best information. 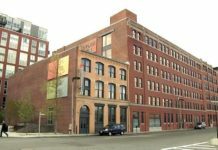 MassTLC has compiled the most comprehensive view of the Massachusetts tech economy to help inform your decisions in the year ahead. In 2017, we benchmarked the tech sector size, growth, and impact on the state’s economy. We compiled insights from over 150 tech leaders on the strengths, challenges and outlook for the future. 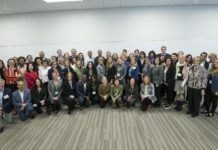 And, we went into depth on issues of diversity and inclusion, the impact of immigration, key mega trends, the Internet of things (IoT) and consumer tech in Massachusetts. 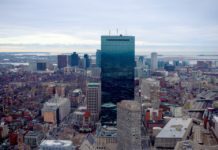 The following reports are free for download by MassTLC members. 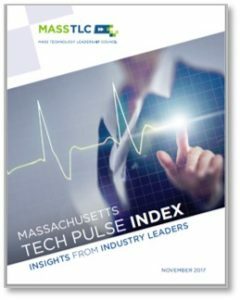 Benchmarking the state’s tech economy and highlighting key trends, this 38-page report, developed with research partner UMass Donahue Institute, confirms the high-tech sector’s position as one of the strongest economic engines in the state. 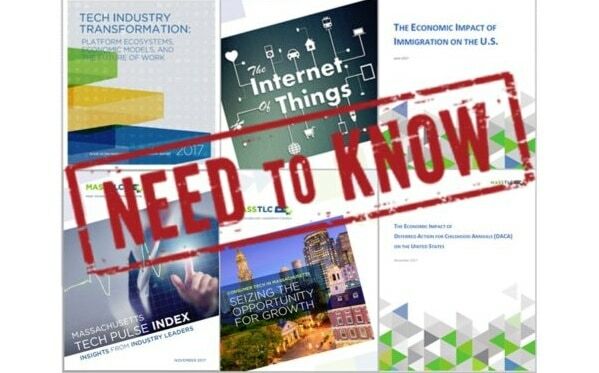 It provides technology executives and policymakers insights into macro trends as they relate to the changing tech sector landscape and the implications for corporate strategy, policy leadership, and our regional economy. 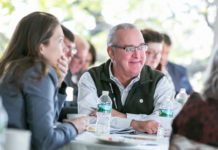 This annual report is FREE for MassTLC members, press and policy makers; $695 for general public. DOWNLOAD THE REPORT. 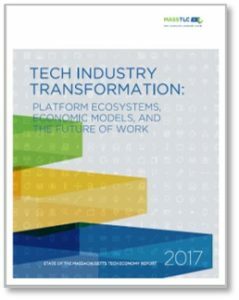 This new semi-annual opinion survey of 156 senior tech decision-makers, developed with research partner UMass Dartmouth Public Policy Center, reveals confidence amongst sector leaders about future growth of tech in Massachusetts. 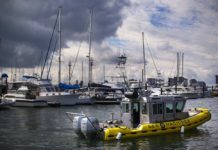 It highlights key economic drivers, with a talented workforce being the number one reason companies choose to locate in Massachusetts and difficulty in hiring being the number one challenge they face once they are here. 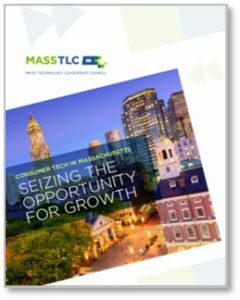 This semi-annual report is FREE for MassTLC members, press and policy makers; $495 for general public. DOWNLOAD THE REPORT. This 40-page report profiles 85 consumer tech businesses, and features interviews with six local leaders – Carbonite CEO Mohamad Ali, iRobot CEO Colin Angle, TripAdvisor CEO Steve Kaufer, Wayfair CEO Niraj Shah, Care.com CEO Sheila Marcelo, and DraftKings CEO Jason Robins – on the state of consumer tech in Massachusetts, why companies are choosing the Commonwealth, what’s needed for continued growth of the sector, and their advice for consumer tech entrepreneurs. This report is available for FREE. DOWNLOAD THE REPORT. 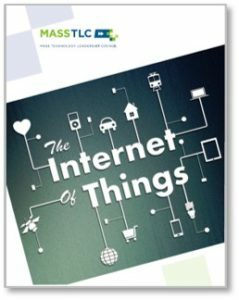 This 36-page report profiles 106 Internet of Things (IoT) companies in Massachusetts, delving beyond the hype associated with IoT to examine how Internet-connected devices are catalyzing innovative and valuable applications, and—like the World Wide Web decades before it—are creating a new dynamic for how we work and live. The report includes a detailed market map that visually depicts the Massachusetts IoT ecosystem by industry segment and layer in the IoT stack. This report is available for FREE. DOWNLOAD THE REPORT. 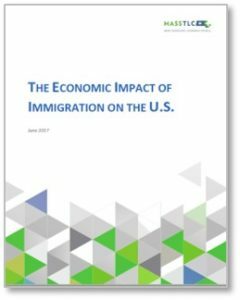 The Economic Impact of Immigration on the U.S. This comprehensive 164-page report documents the impact of immigrants on our economy, underscoring how global mobility of talent and ideas into the United States has been a critical driver of the country’s innovation capacity, economic growth and competitiveness. MassTLC joined the national conversation on immigration as the impact on innovation and job creation is acutely felt in Massachusetts. This report is the basis of amicus briefs we’ve submitted in the District, Appellate and U.S. Supreme Court. 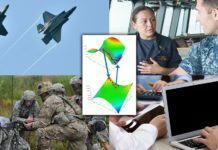 This report, infographics, and amicus briefs are available for FREE. DOWNLOAD THE REPORT. This 18-page report is a supplement to The Economic Impact of Immigration on the U.S. report that outlines the history of DACA, the application process, where DACA immigrants (“Dreamers”) originated from, where they are located in the U.S., and their impact on the economy in terms of education, employment, income, key sectors, tax/fiscal contribution, and anecdotal evidence of their success. This report is available for FREE. DOWNLOAD THE REPORT.